Description Wavy bookcase with a unique sense of style, available in 2 sizes. 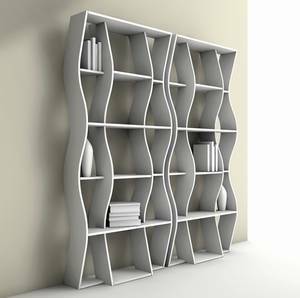 The bookcases can be extended to any length using additional modules that are supplied with one open end. Available in a number of matt lacquered finishes, see samples below for all available colours.